A freelance writer covering video and consumer electronics for a variety of print and web publications since 1999. The image sensor in a camcorder (or digital camera) is what puts the "digital" into a digital camcorder. Put simply, an image sensor transforms the light captured by your camcorder's lens and turns it into a digital signal. That digitized light gets processed and stored in your camcorder's memory as a digital video file which you can later view on your computer or TV. Next to the lens itself, the image sensor is the essential element that ensures quality video. There are two main types of camcorder image sensors: CCD (charge coupled device) and CMOS (complementary metal oxide semiconductor). Both types of image sensor technology contain hundreds of thousands or even millions of pixels. Think of a pixel as a tiny bucket that captures light and turns it into an electrical signal. In a CCD image sensor, pixels capture light and move it toward the edge of the chip where it is converted into a digital signal. In a CMOS sensor, the light is converted at the pixel itself - no electrical conveyor belt required. This subtle difference does matter: because the light signal does not have to be transported to the edge of the chip for conversion, a CMOS sensor requires less power to operate. That means, all else being equal, a camcorder with a CMOS sensor will offer better battery life than one with a CCD. Of course, things are almost never equal, so don't simply assume a CMOS camcorder has a better battery life than a CCD alternative. For many years, CCD image sensors were considered the superior technology as far as image and video quality was concerned. 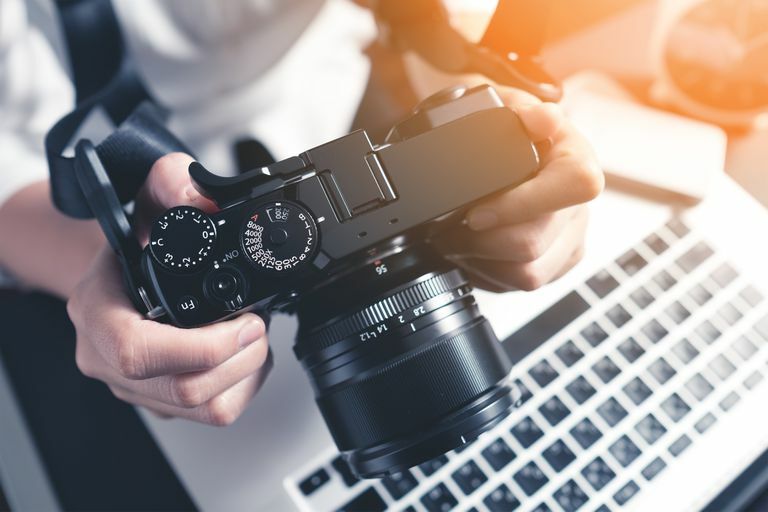 However, CMOS sensors have made tremendous strides in that department and are now found on a growing number of camcorders at all price levels. Sony, for instance, currently uses a CMOS sensor in its top-of-the-line high definition camcorder, the HDR-XR520V. So, while CMOS and CCD image sensors do differ, they do not do so in a way that should be meaningful for the average consumer. You should pay less attention to the kind of sensor in your camcorder and more attention to the pixel count and physical size of the sensor. When reviewing camcorder specifications, you'll often see two sets of numbers listed by the sensor: a gross pixel count and an effective pixel count. The gross count refers to the total number of pixels on the sensor but effectively tells you how many pixels will be used when taking video or still photos. So, pay attention to the effective pixel count when looking for the resolution of your video. The effective pixel count is important for another reason: it helps you cut through some marketing hype. Take Camcorder A. It claims it can take a 10-megapixel photo (i.e. a photo with 10 million pixels in it). But when you look at the number of effective pixels on its image sensor, you see it's only a 4-megapixel sensor. How does a 4-megapixel image sensor take a 10-megapixel photo? It's done through a process called interpolation. As a general rule, you should discount the quality of photos generated through interpolation. Instead, use the number of effective pixels on the camera's sensor as a guide to the real resolution of your photos. The number of pixels on an image sensor is not the only factor influencing the quality of the video captured. The physical size of the sensor matters as well. Larger image sensors can capture more light than smaller ones, even if they have fewer pixels. That's because, while fewer in number, these pixels are larger and thus able to capture more light. This is why you'll see camcorders advertise not only the number of pixels on an image sensor but the size of the sensor itself (usually in fractions of an inch). You're better off buying a camcorder with a larger image sensor even if it has fewer pixels than a competitive model with a smaller sensor and more pixels. How Does an Image Sensor Work? What Is a CMOS Image Sensor? What All Does My New Camcorder Do? How Are Optical and Digital Image Stabilization Different? New to Pocket Camcorders? Read This!